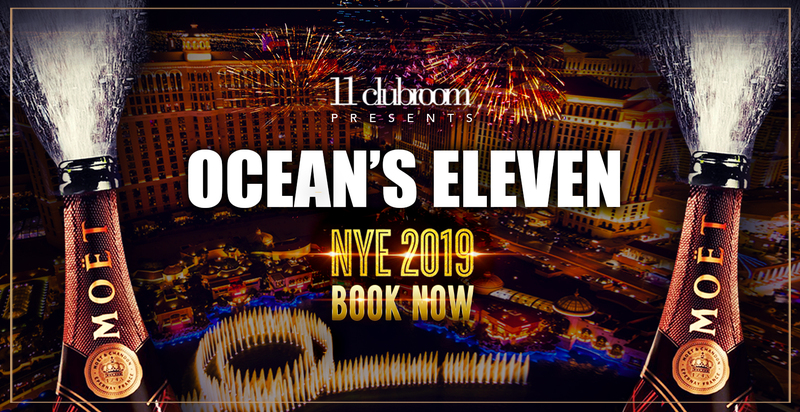 DEC 31st – 11clubroom’s New Year’s Eve 2019: “Ocean’s Eleven Party”! 11clubroom, unico vero club internazionale di Milano situato nella centralissima Corso Como, apre le porte al nuovo anno con un party frizzante rivolto ad un pubblico raffinato ed esigente ispirato al mitico film di Steven Soderbergh Ocean’s Eleven! Le luci dei Casinò di Las vegas, i tavoli da gioco, i croupier e molto vi faranno rivivere totalmente l’atmosfera del film aspettando la mezzanotte e il megaparty che durerà fino alle prime luci dell’alba! 11clubroom, the only true international club in Milan located in the central Corso Como, opens its doors to the new year with a sparkling party aimed at a refined and demanding public inspired by the legendary film by Steven Soderbergh Ocean’s Eleven! The lights of the Las Vegas casinos, the gaming tables, the croupiers and a lot will make you relive the atmosphere of the movie totally waiting for midnight and the megaparty that will last until the first light of dawn!